SAULT STE. 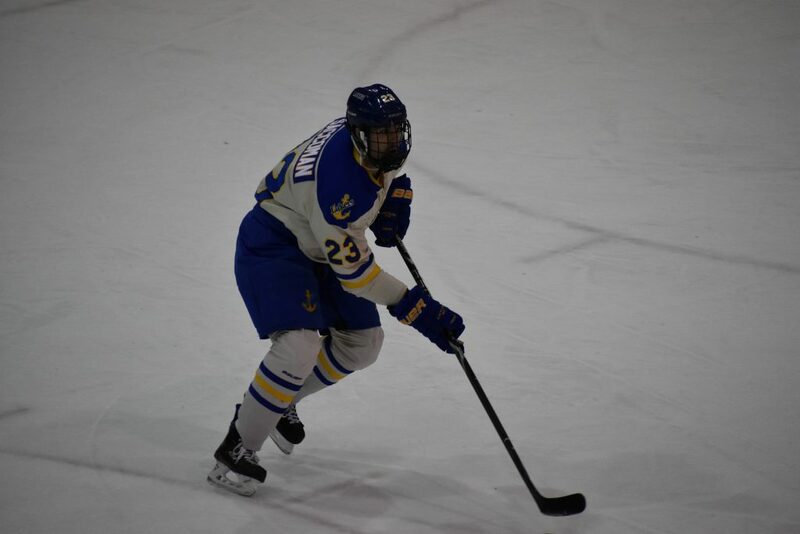 MARIE — Coming off of a convincing 5-2 win against the University of Michigan on Friday night, the Lake Superior State Lakers could not maintain their positive momentum, as the Wolverines (4-3-0, 0-0-0 Big Ten) dealt the Lakers (5-1-0, 2-0-0 WCHA) a 5-3 loss, their first loss of the 2018-19 season. As he has done in each series this young season, head coach Damon Whitten started Mareks Mitens in net following the Friday night start by Nick Kossoff. 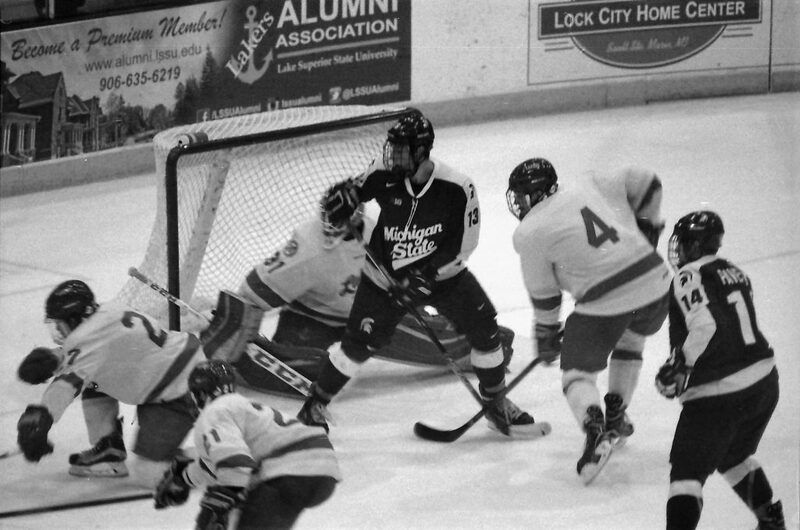 As they had the previous night, the Wolverines opened the scoring. Josh Norris put the puck past Mitens less than 4:00 into the game. Michigan took a 2-0 lead when Jake Slaker found the back of the net later that period. Coming out of the locker room trailing 2-1, Lake Superior wasted little time tying the game up. Senior Anthony Nellis, who had a four point night on Friday, evened things up just 1:36 into the period. 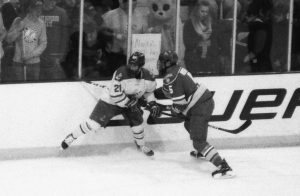 Nellis’ goal was assisted by Gage Torrel and Jacob Nordqvist, who both had two assists on the evening. 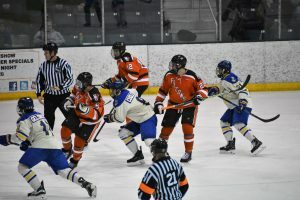 While the third period saw the shots favor Lake Superior 18-6, the home team could not claw their way back into the game. 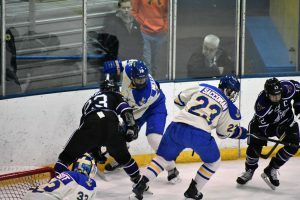 Defenseman Collin Saccoman (who had 5 blocked shots on the night) put the Lakers within two, but his goal, which came with 1:13 left in the game, was too little too late, as the Wolverines skated away with a 5-3 win. In goal, Mitens stopped 24 of 29, taking the loss in the process. Across the ice, Mann made 28 saves out of 31. 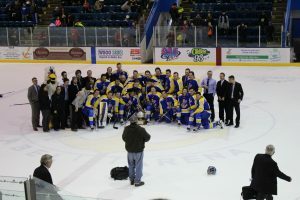 During the first intermission, the five inductees into the LSSU Sports Hall of Fame were honored on the ice, including two former National Champion hockey players. Darrin Madeley (1989-92) and Mark Astley (1988-92), both key components in guiding Lake Superior to the 1992 title, were inducted into the Hall of Fame earlier that day, along with Ben Dewar (basketball, 1999-2003), Jean (Carbeno) Kreidler (Volleyball, 1980-84), and Margaret (Olson) Pollard (softball, volleyball and basketball, 1977-81). 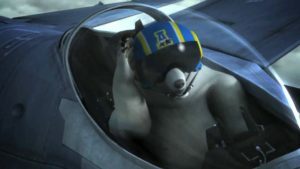 Lake Superior is home again next weekend when they face the Nanooks of the University of Alaska Fairbanks on Friday, November 8th and Saturday, November 9th. Opening faceoff for both games is at 7:07 p.m. EST.